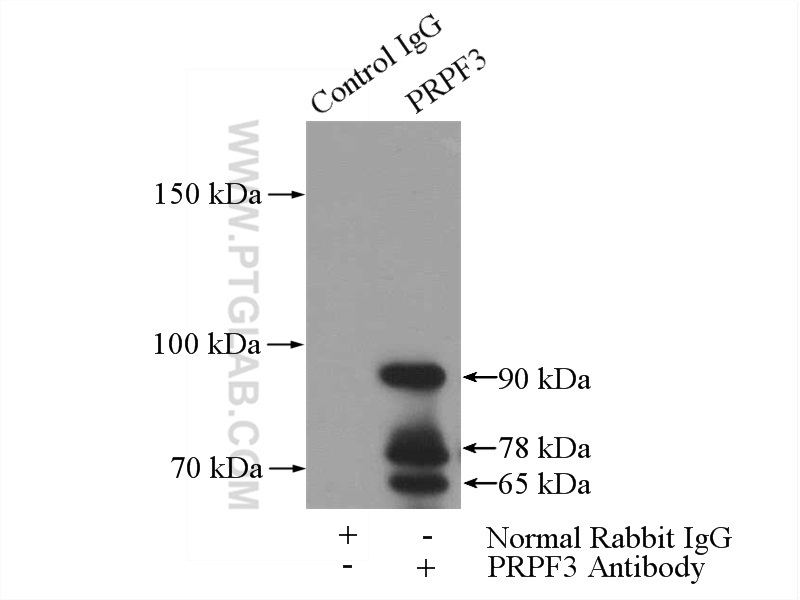 IP Result of anti-PRPF3 (IP:10106-1-AP, 5ug; Detection:10106-1-AP 1:500) with mouse liver tissue lysate 4000ug. PRPF mutations are associated with generalized defects in spliceosome formation and pre-mRNA splicing in patients with retinitis pigmentosa. A quantitative high-throughput in vitro splicing assay identifies inhibitors of spliceosome catalysis.